The Minecraft Nether Biome has no day or night and no weather! It is filled with lava and flames, an almost hell-like place. This Nether Biome contains one of the Zombie Pigmen mob dressed in gold armour. 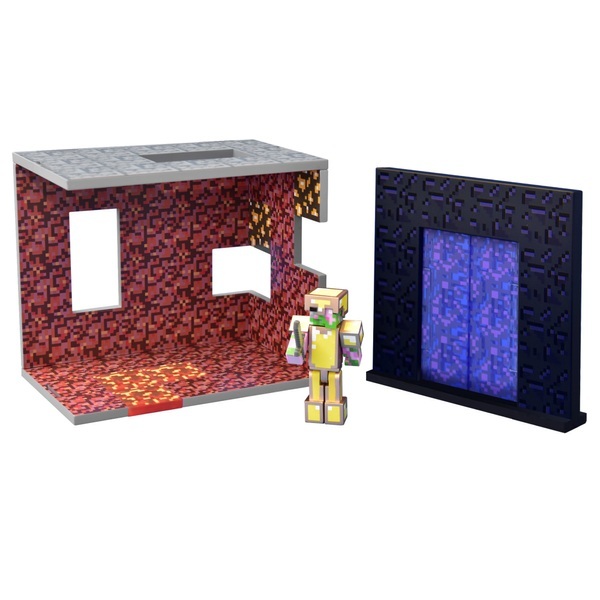 Create your own Minecraft adventures using the golden sword and magma tiles. Ideal for Minecraft fans!